The posterior crutiate ligament (PCL) provides support internally within the knee joint. Functionally, it prevents excessive backwards movement of the shin bone (tibia) relative to the thigh bone (femur). The PCL takes its name from the cross like pattern it creates when viewed beside the anterior crutiate ligament (ACL). Injury to the PCL is less common than that of the ACL but it tends to be under diagnosed. The PCL may become injured by a heavy fall onto a bent knee or due to a direct, forceful blow to the shin while the foot is planted in the ground. 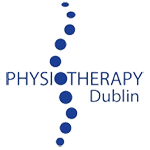 The extent of the PCL injury may be determined by a chartered physiotherapist. Like with other ligament injuries the extent of the injury is graded on a scale with a grade 1 PCL tear, involving fewer torn fibres, and a grade PCL 3 tear representing complete rupture of the PCL. Treatment of the ruptured PCL mostly involves rehabilitation and physiotherapy. Most athletes return to sport successfully following completion of their rehabilitation programmes. In certain instances with complex injury and associated damage to collateral ligaments it may be necessary to see an orthopaedic surgeon.